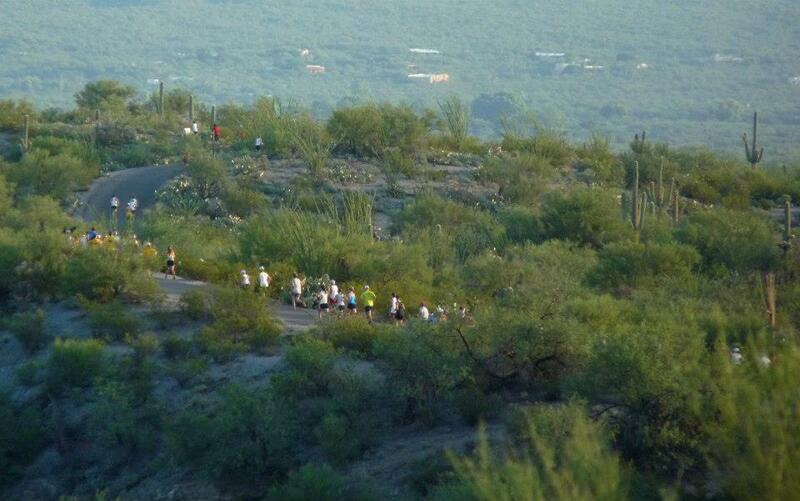 About 200 slots remain for this popular Tucson race! See www.azroadrunners.org for more details. 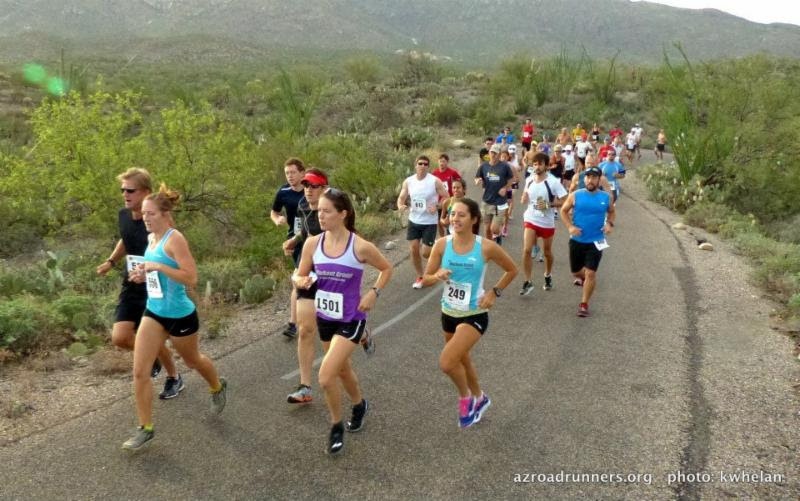 This scenic course and the post-race festivities truly embrace the spirit of the old Southwest, making the 48th Saguaro National Park Labor Day Run a regional favorite. Our rolling 8-mile and 5k courses loop through a cactus forest in the foothills of the scenic Rincon Mountains at Saguaro National Park East. Race morning promises to be hot, so bring water and sunscreen. The oldest race of the Southern Arizona Roadrunners, this event has been featured as a Runner’s World Race of the Month. The 8-miler is part of SAR's Running Shop Grand Prix. The 8 Miler is part of SAR's Running Shop Desert Grand Prix. Race Director Challenge: The first man who breaks race director Randy Accetta's course PR of 42:48 will receive $424.80 in cash on the barrelhead. The first woman who breaks an age-graded equivalent of 47:48 will receive $474.80 in cash on the barrelhead. * Unofficial training runs at Saguaro, every Sunday morning in August, at 6:00 am. All ages and abilities welcome—just come and run or walk on your own! Bring your own water, car-pool if you can, park legally, and bring the Park fee! This race is NOT part of the Gabe Zimmerman Triple Crown: we know the Saguaro race is popular and we don't think it is fair that you would have to pay for three races just to do one race. So, as part of the Triple Crown honoring Gabe Zimmerman, we're developing a brand new 10k, currently scheduled for Sunday, September 17th, staged at Pima Community College West, looping the beautiful cactus forests of the Tucson Mountains. This "TMC Tucson 10k" event will have a 5k, a 10k, and a children's dash, too. Details on this race are here.